Food Librarian The Food Librarian: Baking Chez Moi: Recipes from My Paris Home to Your Home Anywhere by Dorie Greenspan - Coming Soon!!! Baking Chez Moi: Recipes from My Paris Home to Your Home Anywhere by Dorie Greenspan - Coming Soon!!! 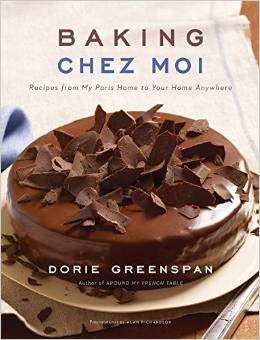 You can pre-order Dorie Greenspan's book: Baking Chez Moi: Recipes from My Paris Home to Your Home Anywhere . Dorie Greenspan pretty much changed my life...got me into baking, blogging and I met great people on these interwebs because of Dorie. My name is Mary and I am in the TWD [Tuesdays with Dorie] baking group with you. I saw that you commented on my blog (thanks, I just started blogging a few weeks ago and it is fun to get feedback) so I checked on your profile. I saw that you live in Los Angeles. I am coming to LA this weekend with my husband to attend a good friend's wedding. I always like to check out local food places. Do you have any favorites you could email to me so I can check them out? Anyway, since that email in 2008, we've been friends. I stayed with her family when I went to the East Coast and when Mary visited Los Angeles last year, her family came to my family's mochi making day! And this was all thanks to Dorie and the awesome folks who put together Tuesdays with Dorie! Not only did Dorie bless us with delicious recipes (and so many good Bundt recipes! ), but friendships were made. Many twitter and Instagram friends came via Dorie as well. Back in 2008, food blogging was a bit different. Less photo staging and more "I can't believe I made a pie with homemade pie crust - yay me!" (Not that there is anything wrong with food blogging today...it was just different with our little Tuesday with Dorie group of bakers). 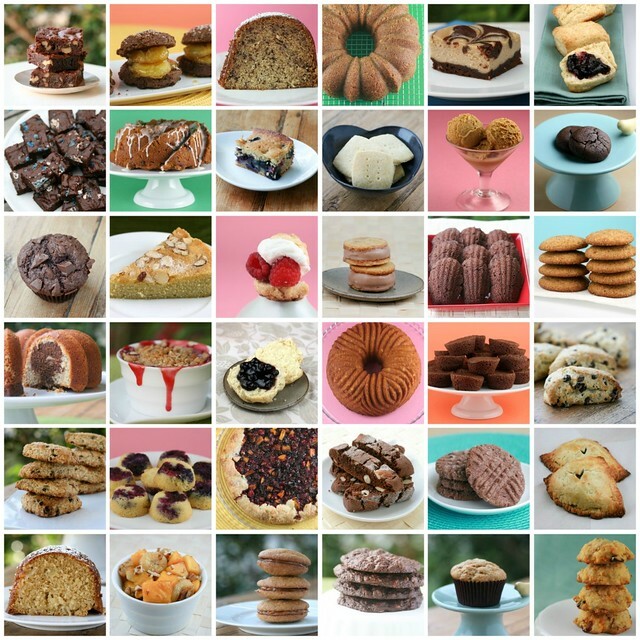 I made all this and more when Tuesdays with Dorie baked through Dorie's Baking: From My Home to Yours book! If you don't have this one, you really need to add it to your collection as well. Whenever I bake from Dorie's books, I know I'm in good hands. The recipes are tested and tweaked until they are perfected for the home cook. It's more than a cookbook - the headnotes read like a biography, travel diary, and letter from a best friend. And there are so many recipes! You are getting an encyclopedia's worth of recipe in each book. And Dorie? Love you! Thanks so much for filling my life with deliciousness and friendship! Can't wait to see the new book! P.S. Here are some of my Tuesdays with Dorie blog posts. P.S.S. Full disclosure: If you click the Amazon link and buy something, I'm in the Amazon Affiliate program so I get a few cents (so I can buy more cookbooks...ahhh, the cycle of life). It's hard to believe how much food blogging has changed! Baking through Dorie's book and getting to know so many people like you was wonderful. I love Dories books and can't wait to see this one!